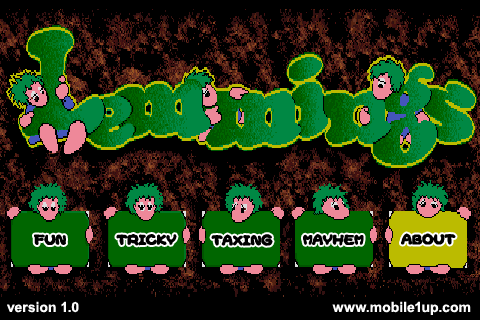 Mobile 1UP announced on our forums that they’ve “bitten the bullet" and are working on a port of Lemmings for the iPhone and iPod touch. They’ve got plans to submit it to the App Store for free as soon as the port is complete, and it will even include all 120 levels from the original Lemmings. If you’re curious what goes in to porting a game like this, Mobile 1UP is live blogging the whole process. So far they’ve covered everything from undoing hacks added to the source to make it run on Palm OS nearly ten years ago to the logic the lemmings use to move, and even fixing some cut and paste bugs. It’s an amazingly interesting read, just make sure you scroll all the way down to the bottom and read from the start to follow along. If this is the first you’ve heard of Lemmings, the game actually has a remarkable history. It began as a computer game nearly 20 years ago, originally developed by DMA Design which we now know as Rockstar North and published by Psygnosis, now a fully owned subsidiary of Sony. Much like Duke Nukem the game has been licensed a ridiculous amount of times and ported to every platform imaginable. 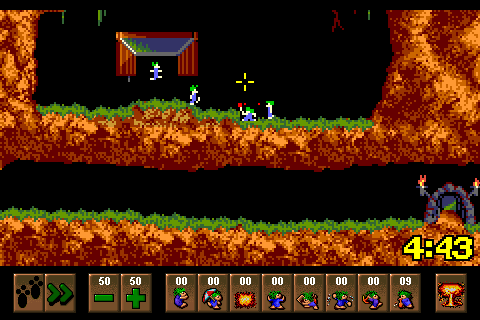 In the game, players complete a series of levels by guiding the dim-witted lemmings to the exit. It’s not that easy though, as getting to the end of the level requires players to assign lemmings certain skills such as a digger that is capable of digging through earth to cut a path for other lemmings, or builders that can build a staircase for lemmings to ascend. The gameplay is so classic that even if you’ve never played the original Lemmings, you’ve likely played a similar game inspired by it. As mentioned, Mobile 1UP will be submitting it to the App Store as soon as the port is released, and you can bet we’ll post something on TouchArcade as soon as it gets approved.